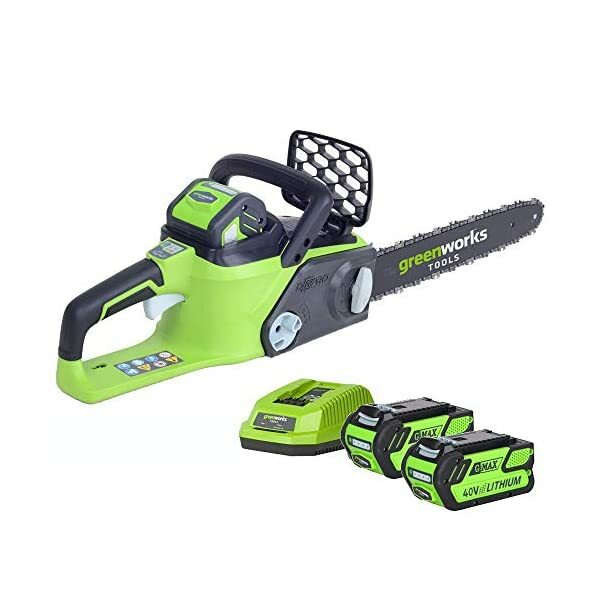 This Greenworks G-MAX 40V Cordless Brushless Chainsaw (GWGD40CS40K2X) is supplied with two 2Ah batteries and charger. This machine with the 16 inch (40cm) Oregon bar will cut logs up to 30″ (72cm) diameter. The chain tension is easily adjusted using the tool-less quick adjust knob. The chain brake is an essential feature stopping the chain fast in the event of unexpected kick back. The chain is automatically oiled whilst in use and the chain oil level can be easily checked via the translucent tank. 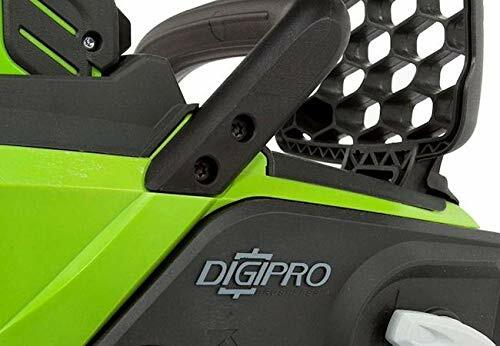 The powerful DigiPro brushless motor technology delivers great performance with up to 100 cuts on a single charge. Brushless motors are quieter, more efficient, more powerful, and less prone to wear and tear than non-brushless motors. 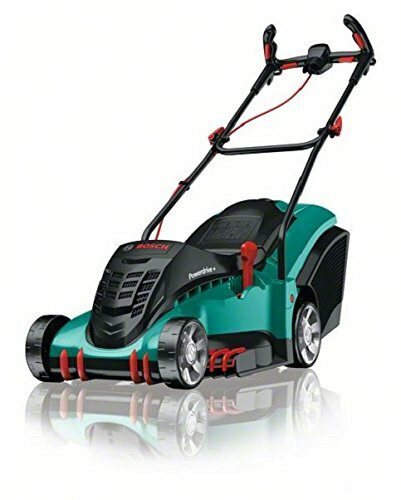 Making use of the new innovative lithium-ion battery technology, the Greenworks G-MAX batteries are powerful and efficient. 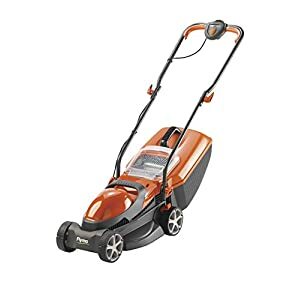 Lithium ion batteries are fast charging, long lasting and do not suffer from memory effects so they reach full charge, every charge, with no loss of power. 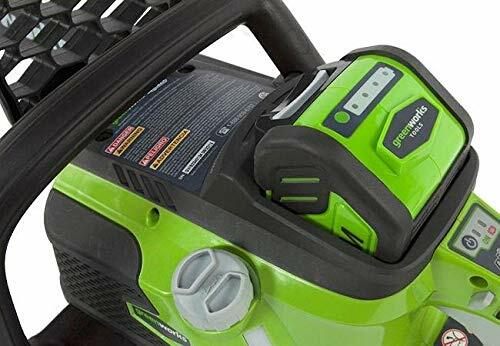 The G-Max 40V 2Ah batteries and charger supplied with this brushless chainsaw are compatible with all the Greenworks G-Max 40V tools and will run your Greenworks G-Max 40V mower, hedge cutter, trimmer, cultivator and blow vac. 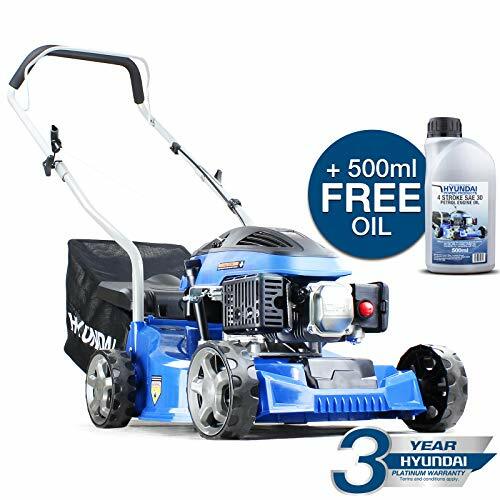 Hyundai 79cc 4-stroke OHV petrol engine, providing easy starting with low fuel consumption. 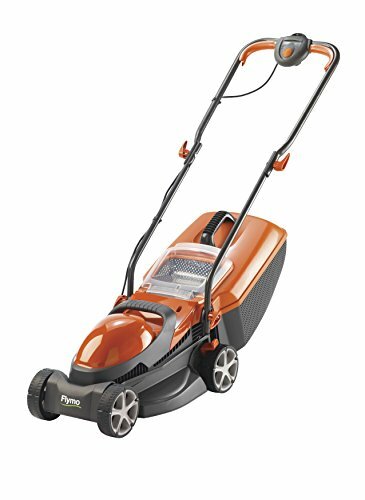 400mm cutting width it’s ideal for cutting small to medium sized lawns, up to approx. 400sq metres. 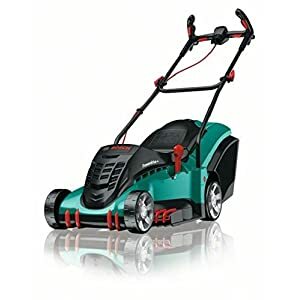 £84.06 (as of April 12, 2019, 4:04 pm)	& FREE Shipping.